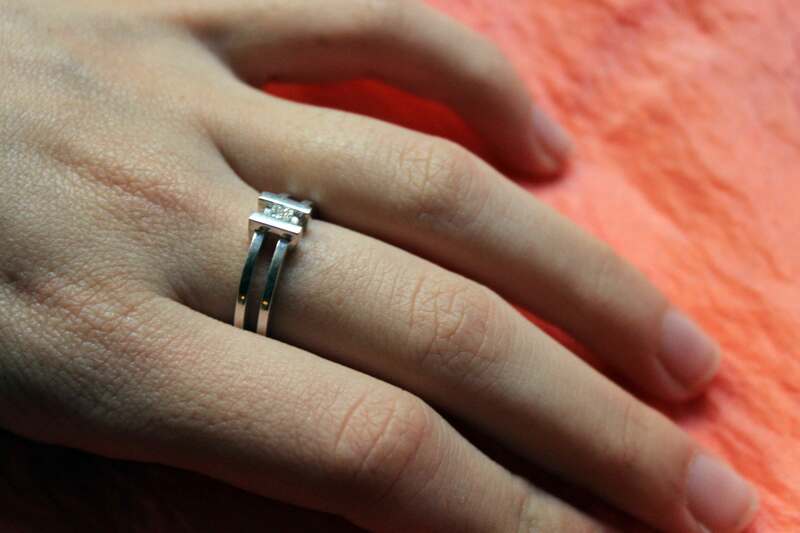 Two white gold lines that join hugging the diamond… What a wonderful story! A union simbol that tells all your love only seeing it. 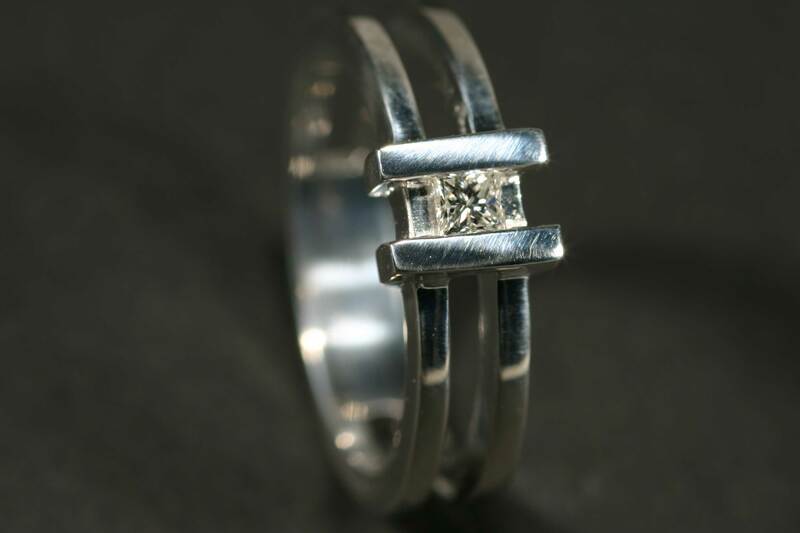 She will love the meaning of this engagement ring. 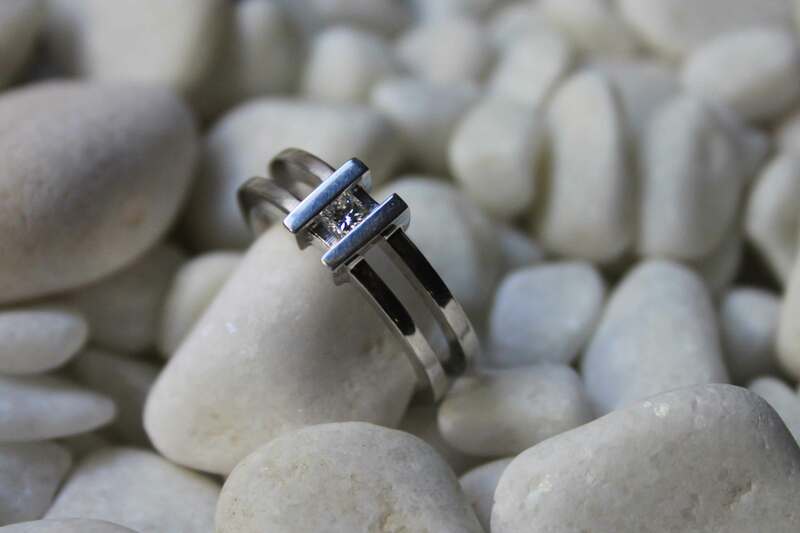 Surprise her with this original diamond cut called “princess”. 1 Princess cut diamond weight 0.15 ct. F, VS, Excellent / Excellent.